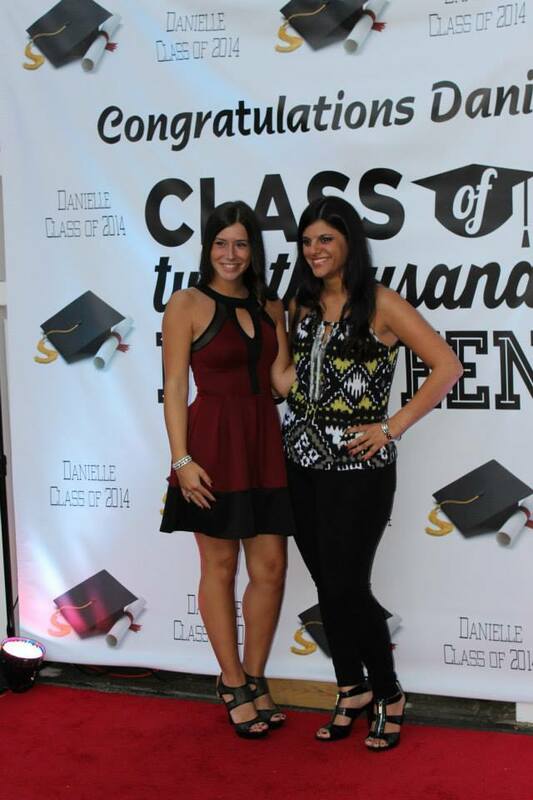 Our DJs and Emcees are trained Professionals with the experience to make your party what you've envisioned it to be. Our DJs expertise, along with your guidance, are able to keep the party going from the first song to the very last dance. Our Emcees are motivated and high energy oriented. They keep the party running smoothly by coordinating with you, the venue and the DJ the entire night to ensure we exceed your expectations of your special night. All white intelligent lighting packages are a great add on to your next event. 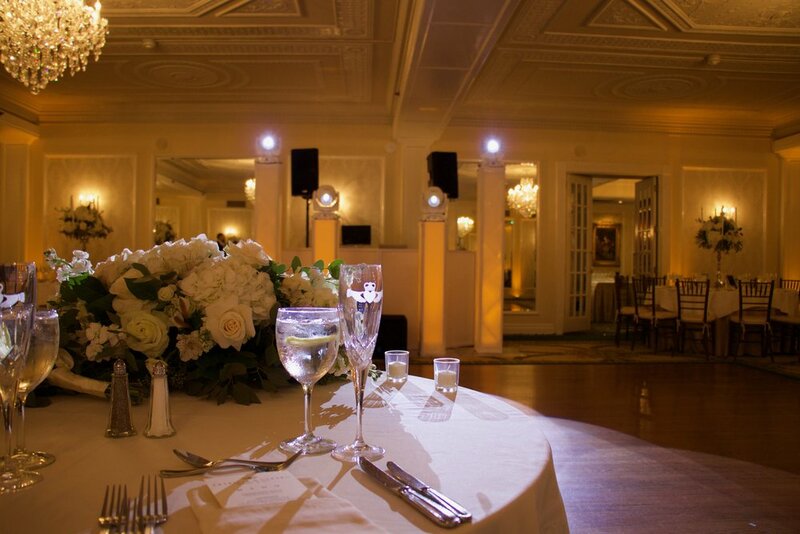 Our trained lighting technicians can help set the mood from the high energetic lighting for dance sets, low key lighting to wash the walls calmly for a smooth cocktail hour, to spotlights for that first special dance of the evening. Uplighting is the perfect way to give your room a personality. 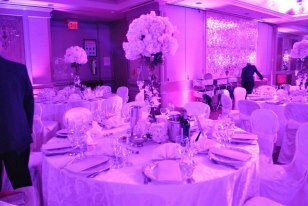 With our uplighting, we are able to accent your room to the color of your choice. Whether you are looking for wired or wireless uplighting we are able to accommodate your room or outdoor area to your liking. 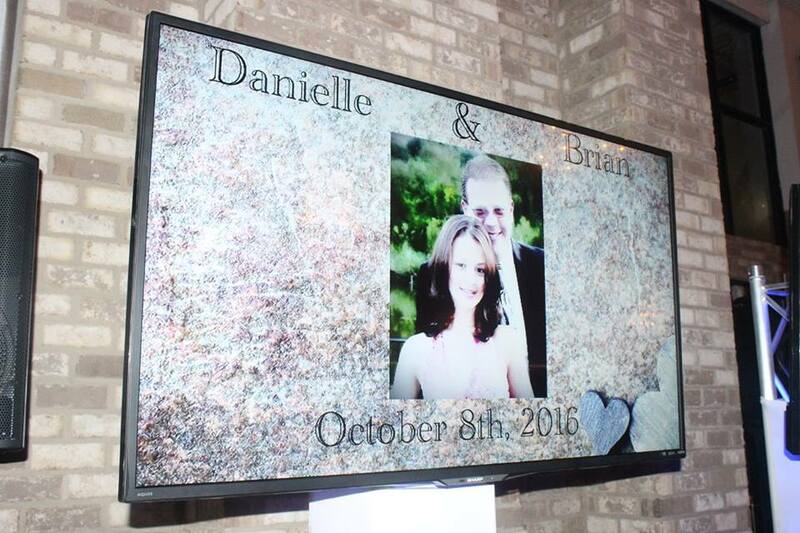 Adding TV displays are the perfect visual effect for your event. Our TVs are 4k definition, giving the best quality for your guests to enjoy. We are able to provide live view of your dance floor, monograms and graphics made just for you, as well as a completely custom photo montage to display at your event. Nothing says "V.I.P." like our completely custom red carpeted Step and Repeats! This is sure to be an item to set off your event. Imagine all of your guests stopping to take a picture accompanied by you and having a memory of pictures from the night that will last a life time! Custom mixes that sing "Will you marry me?" The best part is that we will work with you from when you come sit with us until that emotion filled "I do"! Our DJs had the pleasure of putting together this Custom made mix for this proposal for an amazing couple. The groom to be and our DJs worked hand and hand, from start to finish, to put their favorite songs together in a way that would make the proposal perfect as planned. See for yourself how special it was! We offer many additional services. Don't see something that you're looking for? Getting in touch with us is only one button away! To discuss the needs of your next event, click the contact us button below.